In January 2019 a workshop on reduction of Shimura varieties will be held at the Mathematisches Forschungsinstitut Oberwolfach, organized by Laurent Fargues, Eva Viehmann, Torsten Wedhorn and myself. In August 2015 a workshop on reduction of Shimura varieties will be held at the Mathematisches Forschungsinstitut Oberwolfach, organized by Laurent Fargues, Eva Viehmann, Torsten Wedhorn and myself. In March 2015, a Spring School on $p$-adic Arithmetic will take place. In January 2015 Dr. Barinder Banwait joined the research group. Welcome! 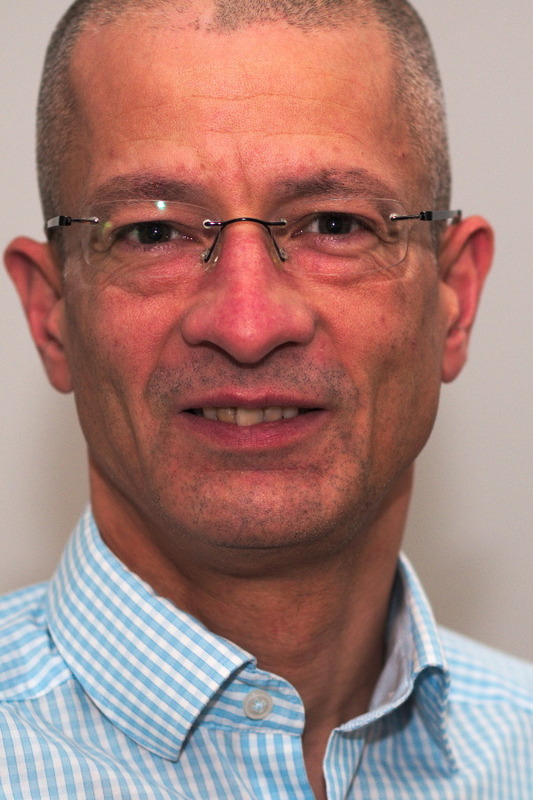 In October 2014 Dr. Francesc Fité joined the research group. Welcome! 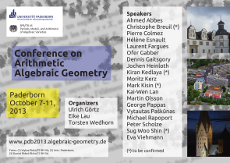 Together with Eike Lau and Torsten Wedhorn, I organize a conference Arithmetic Algebraic Geometry in Paderborn (October 2013). Following the usual pattern – 3 meetings on Saturdays of the winter term – Ralf Kasprowitz, Torsten Wedhorn and myself organize another Workshop Essen/Paderborn.